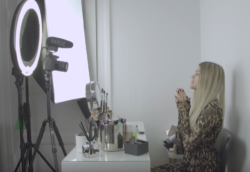 What does it mean to be an Influencer - and how do you become a star on YouTube? And what does it mean to share your life with the whole world on social media? In the series "Influencers," we go behind the scenes of Denmark's four biggest Youtube stars - and get a unique insight into the ups and downs of their lives. We follow them closely as they navigate in an industry in which nobody really knows the rules, and privacy is a town in Alaska!